This week, MCC released worship resources for churches participating in Days of Prayer and Action for Colombia to use on Sunday, April 28. Participant churches will organize their worship service around this theme of this year’s Days of Prayer and Action, “Now is the time for peace with justice in Colombia.” The packet includes: summaries of the main issues facing Colombia and its peace process; songs for peace in Colombia; prayers and poems; readings; and reflections from MCC staff in Colombia. Michael. Photo by Anna Vogt. Colombian churches are also asking God for healing: “Hear our crying and have mercy on us,” writes Adaia Bernal. 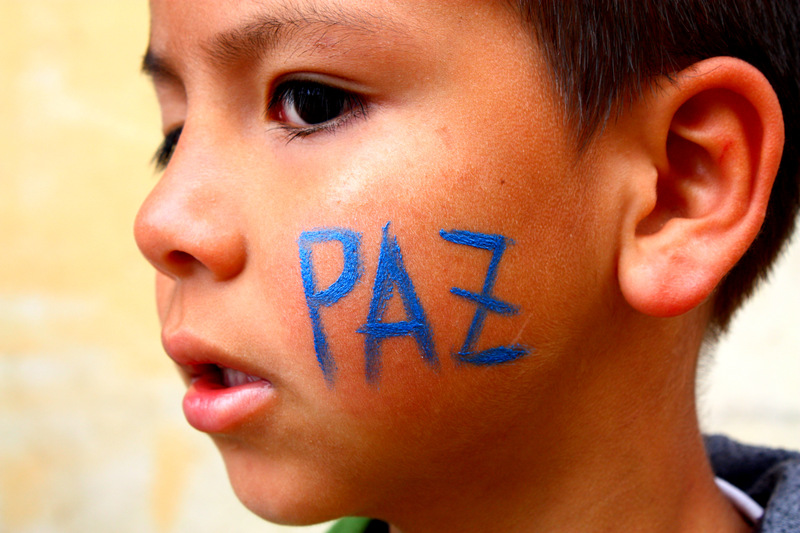 The reflections from those in Colombia are infused with words of hope, patience, reconciliation, and justice. They urge Christians to be engaged in the work of shalom by building justice in broken parts of the world. For Christians, this is not an option; this is an occupation. In her reflection, Sandra Baez of Torre Fuerte Mennonite Brethren Church in Bogota quotes Miroslav Volf: “Being the church means being for others, with others, especially the neediest. The ministries of justice and reconciliation are not additions that flow out of the church, but are constitutive of ecclesial life in union with Christ.” As the Church, our hearts should break when we hear our Colombian brothers and sisters cry to God for justice and weep for their family. Their stories – some of them collected in this worship packet – should move us to action on their behalf as we draw from a Christian tradition of unswervingly pursuing justice. Read the reflections of those on the ground, hear the words of Colombian believers, and be inspired by words of hope amidst terrible injustice, download the worship packet and sign up to participate in the Days of Prayer and Action. Wonderful, succinct, but informative article. Perfect for sharing on Facebook, where people have annoyingly short attention spans, myself included. It’s rather disturbing to know the U.S. has done very little in the past 50yrs. to improve the well-being of Columbians, & if anything, made it worse.When it comes to dispatching drones to the far corners of the Earth to kill people we’re deadly efficient; using our status/ influence to work for justice/peace in Columbia? Quite another story.